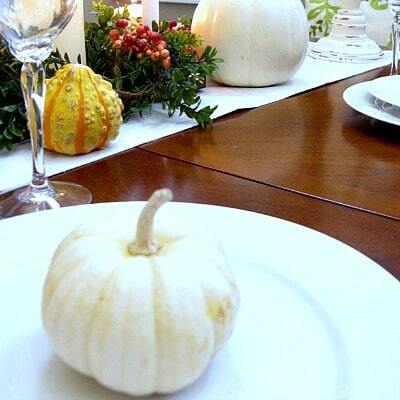 This quick and easy transitional Thanksgiving to Christmas DIY Centerpiece only takes 10 minutes to make! 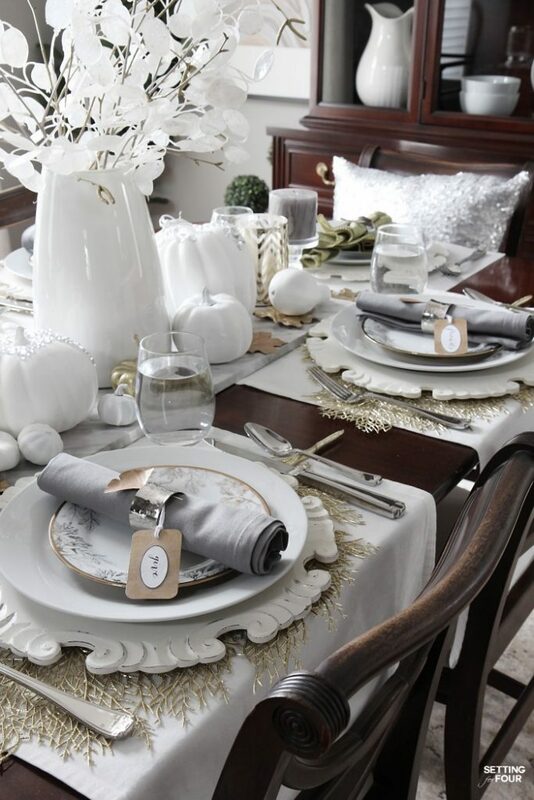 This is such an elegant DIY decor idea – perfect for the Thanksgiving table that you can leave out until Christmas! 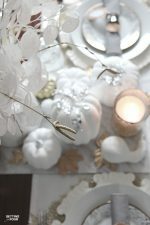 Includes a FREE printable checklist of mix and match supply ideas so you can create your very own centerpiece that’s unique to you! 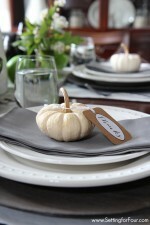 This also makes a stunning hostess gift too! 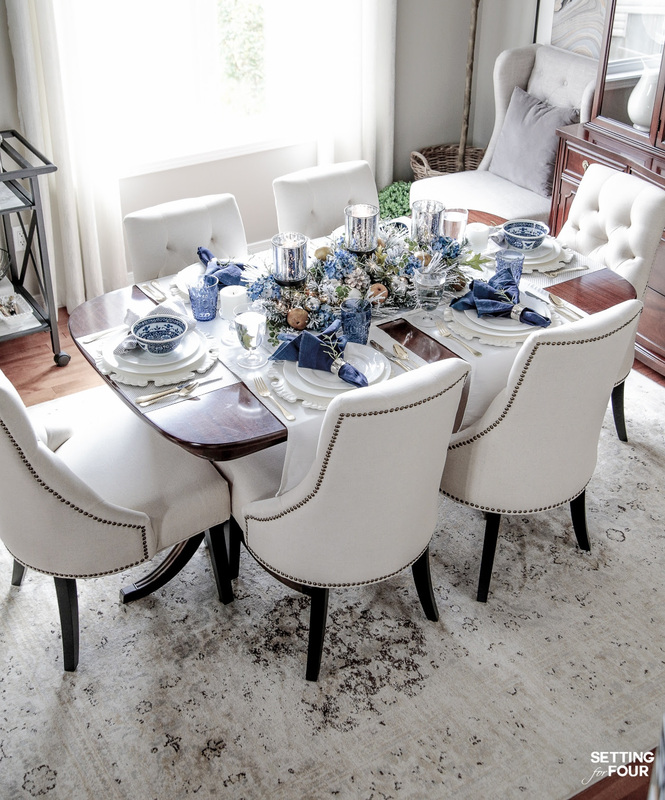 Did you happen to see my recent Elegant Fall Table Settings With A Blue And White Palette post where I debuted my new dining chairs that I’m obsessed about? 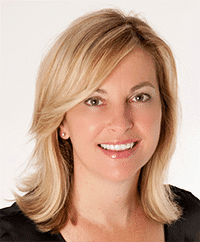 In that post I shared a brief description of the easy centerpiece I made for it…. and today I’m sharing more details plus some mix and match ideas too! You can create countless versions of it depending on what you add to it! 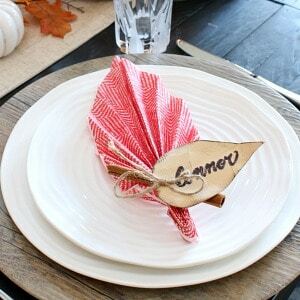 This lets you put your own style and creative stamp on this centerpiece – and why not make one for a hostess gift too? I would practically faint with happiness if I received one of these as a hostess gift! 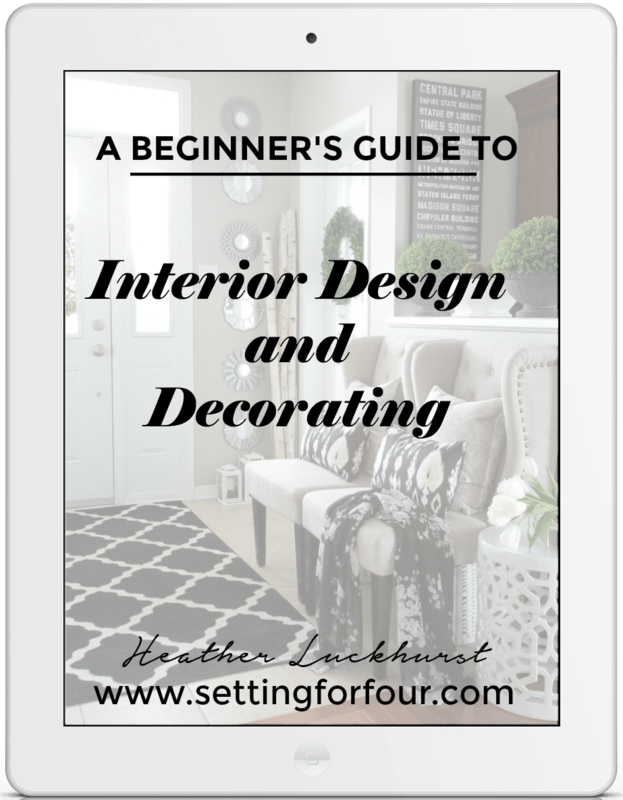 Click HERE for your FREE Centerpiece Decor Checklist! Download it and Print! The centerpiece I used is a frosted faux pine Christmas centerpiece that I transformed into a transitional Thanksgiving to Christmas look! 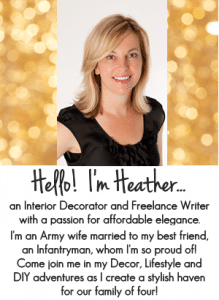 I’m so eager to start Christmas decorating this year, I just couldn’t resist decorating for Thanksgiving with this pretty holiday mercury candle centerpiece! 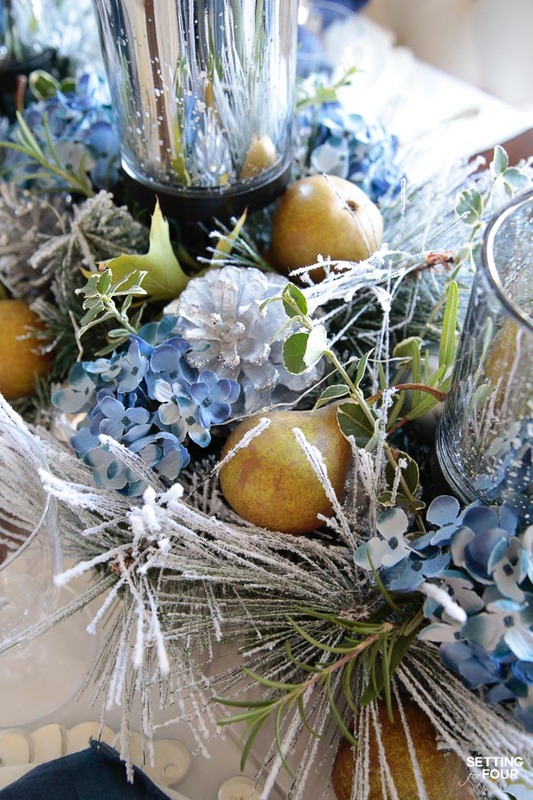 Place the faux pine centerpiece on the table and fluff the branches. Add battery operated tea lights to the mercury candle holders. I added one string of battery operated mini lights for some twinkle – intertwining it throughout the entire centerpiece. Hide the battery box under the centerpiece so that it’s less noticeable. Next I added 7 fresh orchard pears for a fall harvest touch! 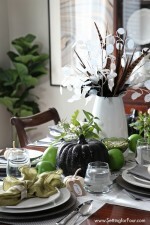 Place the fruit in the centerpiece so that some are facing up and some are upside down to add interest. Then I went into my flower garden and herb garden and I added clippings of fresh rosemary, euonymus branches and oak leaves from our backyard. Just place them randomly in the centerpiece at different angles, some pointing up, some pointing horizontally and some pointing at angles up and down. 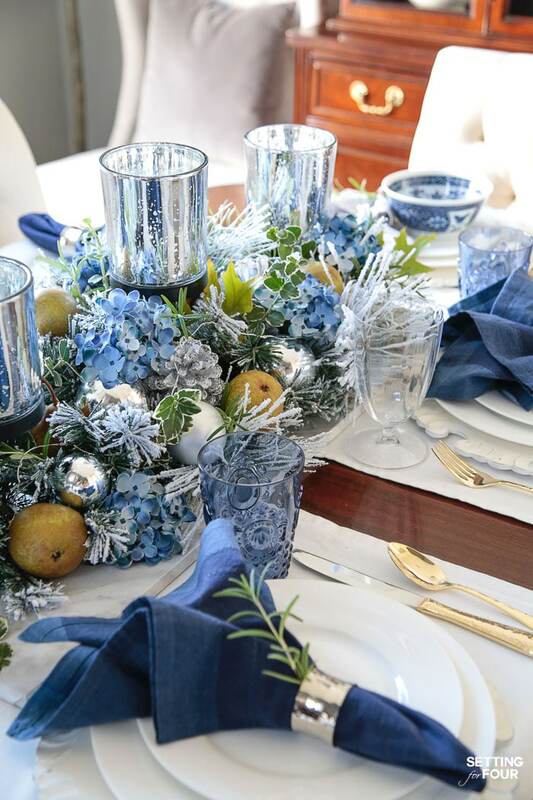 Lastly, I added some faux blue hydrangea flowers to the centerpiece for a pop of beautiful blue! I popped the faux flower heads off their stems and only used the flower heads. You can also add fresh flowers like mums if you like! 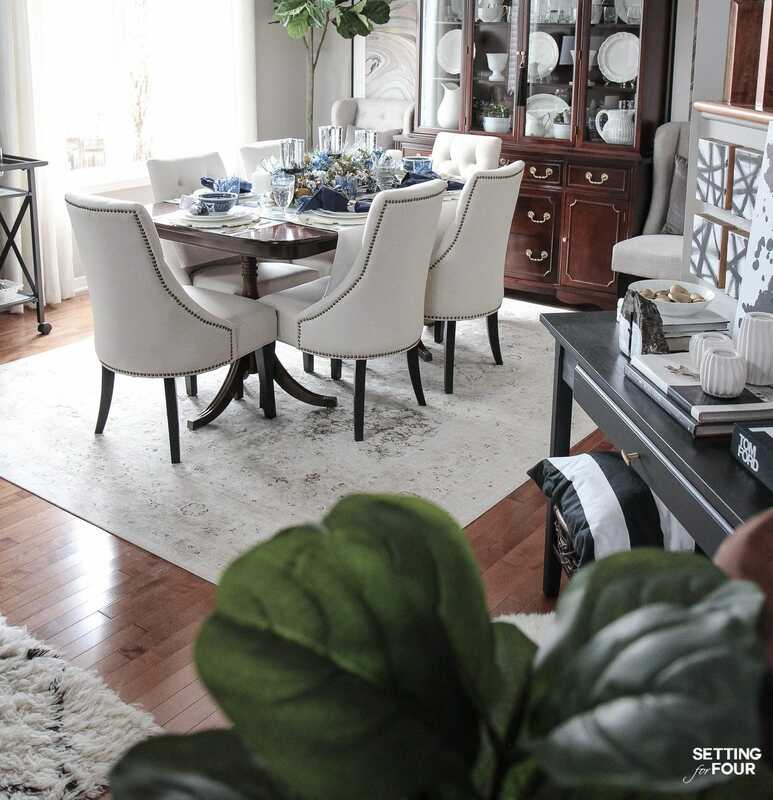 The aim is to give this centerpiece a fuller, more natural look. Note: Fresh flowers will probably only last a day, the greenery clippings will last two or more days. 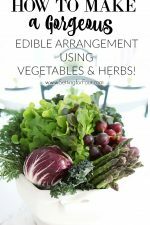 You can replace the flowers and clippings as they wilt with new fresh greenery! Fresh boxwood and magnolia leaves will dry beautifully and last a long long time. 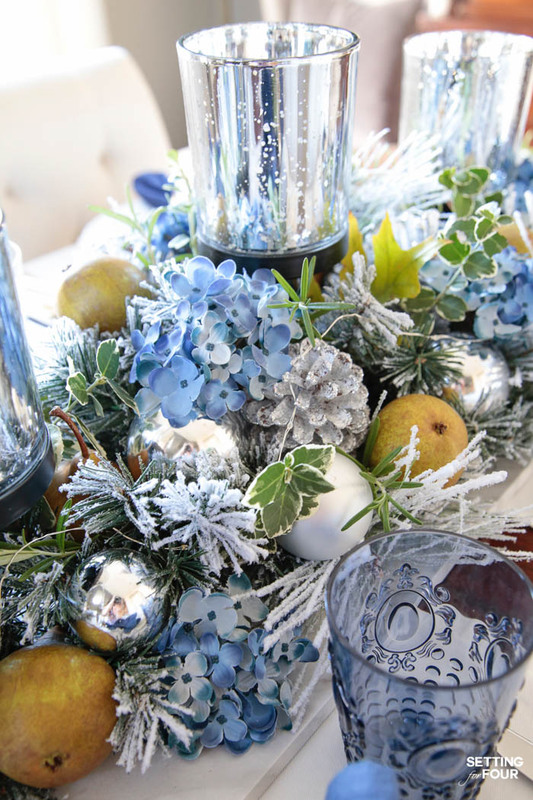 I hope you enjoyed my quick and easy centerpiece tutorial today! 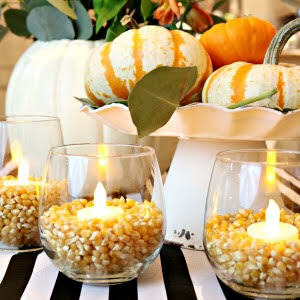 Here are 4 more 10 minute Thanksgiving decor ideas for you to enjoy! 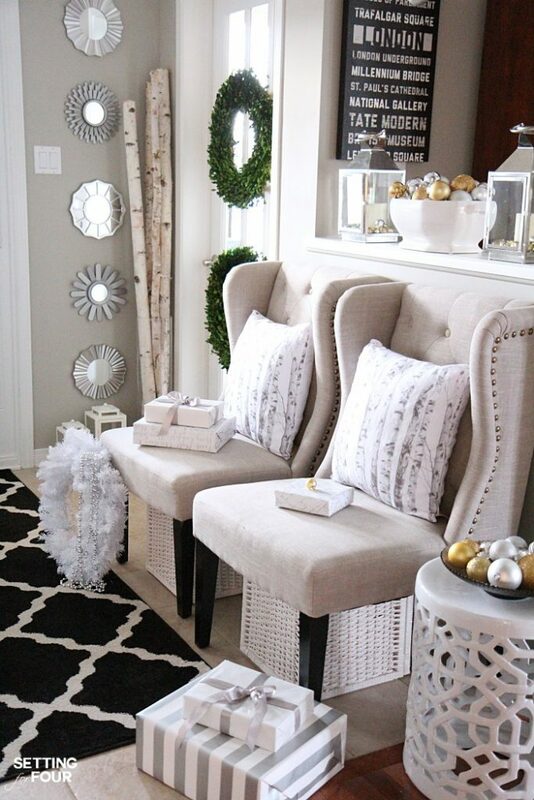 You can see all of my 10 Minute Decorating Ideas listed here! 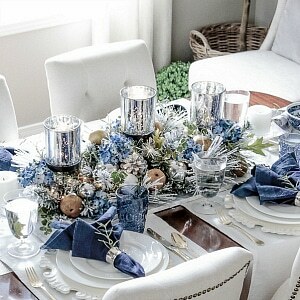 Your table is stunning Heather, I am in love with all the blue’s!